Home > Photo Editing Tips > How to Blur Faces and Names in Photos with Skitch App? Have you ever entirely deleted a great photo just because of the presence of some name or face in the background that didn’t give you the permission of sharing to any social platform? Instead of giving up these images, you can try blurring the name or face in the background to make it eligible to share on social media platforms. These days adding stickers and emojis to images have become quite popular. So, using them to adjust your image may also be a preferable choice for you. Well, we definitely have a better approach to censor your photos that does not require extraordinary Photoshop skills. All you need is an app on your smartphone that will help you to blur or pixelate absurd faces and text in your photos. There are many apps in the market that helps to do the job, but the one we tend to use frequently is the Skitch app for iOS devices. After installing this app, you no longer have to trash your awesome pictures. 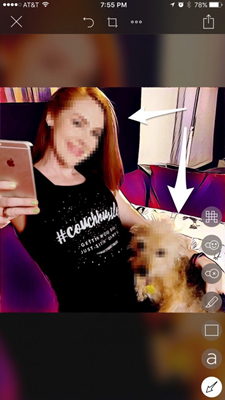 With the app, you can professionally censor photos by blurring the unwanted parts in the photos or by just doing a quick emoji-censoring in just a few seconds right from your smartphone. What’s more, you can also try erasing the unwanted texts, logos from the photo with Photo Eraser tool. This a simple app by the manufacturers of Evernote. This is app has got heavy ratings at the iTunes and is widely used by people. The app has a big 89.5MB size, but is simple and fast with its promising UI. See something that sparks up your creative mind? Skitch helps you to quickly snap a picture, mark it up with simple tools, and then send it on in an instant. Your bold ideas stand out even brighter with Skitch. You can mark photos of silly, cool, or inspiring things you see. Share your creative works via social, email, SMS, and more instantly. The app even lets you annotate photos of your backyard to plan out your vegetable garden. Skitch is just great for kids and learners. Quickly share the diagram of the earth’s layers and have students label it with you. Are you an event planner? Skitch comes in handy to help you capture a map, mark it up. Share your work with your friends to show them where you’ll be. The app lets you open a PDF and highlight changes to skip the lengthy, confusing email chains and give a quick feedback. Choose the photo you want to edit after opening the app. Tap on the down button present at the down right hand corner. 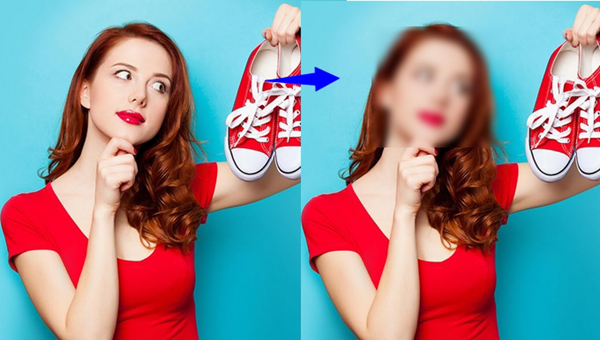 Use the PIXELATE button to highlight those parts of the image or faces in the image that you want to blur. If the item is not getting blurred, keep highlighting those parts which you want to blur. The ARROW pointer also helps you to point out objects on the image. Customize the image with different editing tools preset in the app. Also, add basic elements like text, emoji and others to make your photos look cool and make it attractive. Apart from censoring photos, Skitch is just great for annotating photos right through the app. This app is a very handy app for editing on the go. From censoring photos to annotating pics, this app is versatile in many ways. The app proves its worth, and with high user satisfaction, this one is a must-have app on your iPhone and iPad. The basic usage of the app is just free and the download too. 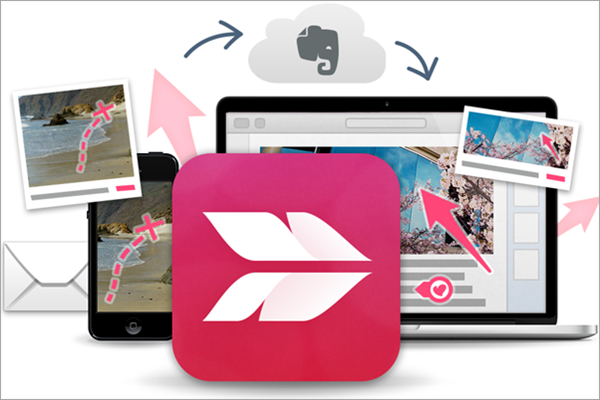 But, if you want to access much more features like the PDF markup feature, you’ll need need to purchase it or if you an Evernote Premium account, then you can unlock all the benefits of the Skitch app. Both Evernote and Skitch are awesome in their respective ways and both of them can be used to increase your productivity. I don’t think you wan to miss them, especially this blur face app.